I have saved the granddaddy of recipes for this thank-goodness-it’s-Friday post. The world has had a doozy of a week. Folks in New York and New Jersey are flooded and stranded and without power and water. All along the eastern seaboard folks are cleaning up after Frankenstorm Sandy. And everyone else has suffered the endless news stories, feeling terrible for those suffering and hopefully helping in any way we can (have you contributed to the Red Cross? Don’t send canned beans–send cash!). But through it all, we see silver linings. Neighbors helping neighbors, political barriers being put aside, climate change finally becoming a part of the national dialogue, and New York City subway rats becoming kinder. In the worst of times, I like to think the best in us comes out. I hope that this post gives our worry-wearied minds a moment of peace and hope for a delicious future. Once upon a time, (several weeks ago) our CSA delivered us a new squash I had never seen before. The list called it delicata, so I of course Googled it, found out what it was, and quickly found a recipe that I couldn’t resist. 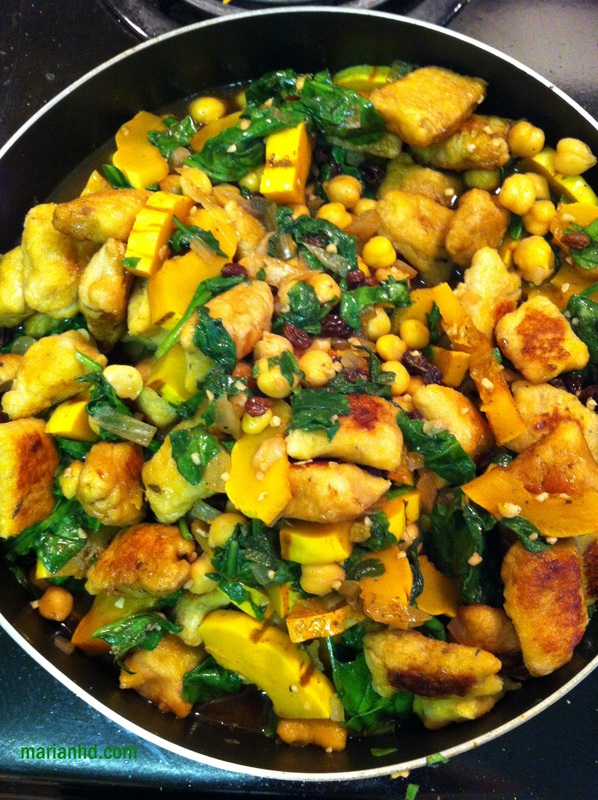 It combined this new squash, which has a flavor similar to butternut squash, with three other fantastic ingredients–spinach, chickpeas, and gnocchi. I knew I couldn’t lose with this combination. Regular readers are aware of my love for gnocchi. To take the recipe up a notch, I also had it in my mind that I wanted to make my own gnocchi using squash and sweet potatoes instead of regular potatoes. I made the gnocchi a week or so in advance (see the link above for the how-to) and stuck it in the freezer. This added one step to my recipe in that I needed to boil my frozen gnocchi before continuing with the standard recipe. If I had bought shelf-stable gnocchi, I could have skipped that. I typically don’t like to have to go out and buy tons of ingredients that I don’t usually keep on hand for a new recipe, but I did go get dried currants for this recipe. They add a lovely level of sweet fruitiness that pairs so nicely with the squash, sage, and balsamic vinegar. If you are similarly opposed to buying new ingredients, consider trying raisins or dried cranberries as a substitute. Or, get courageous and try them out. They are also good in rice pilafs and oatmeal. 1. If using frozen gnocchi, cook in a large pot of boiling water until they float to the top, about 4-6 minutes. Drain, rinse and dry on paper towel. 2. 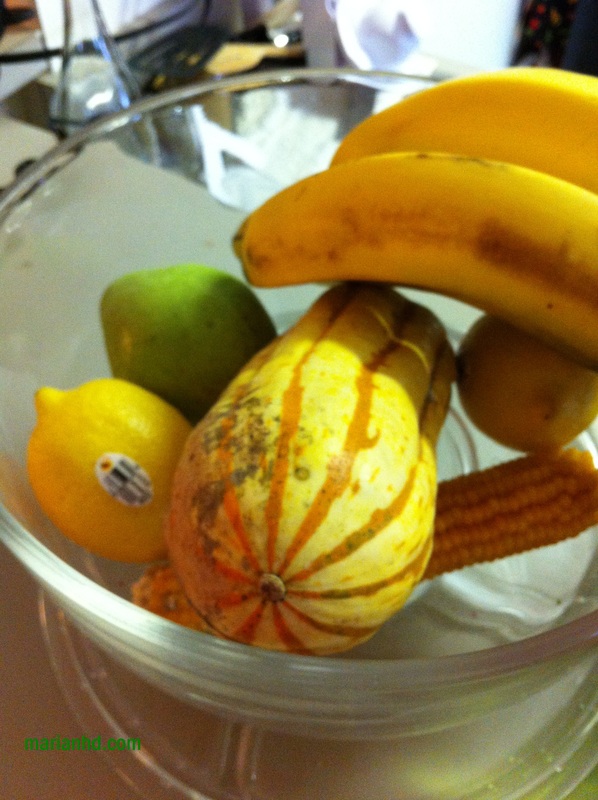 Prepare the squash by first thoroughly washing the squash with warm water (no need to peel this squash). 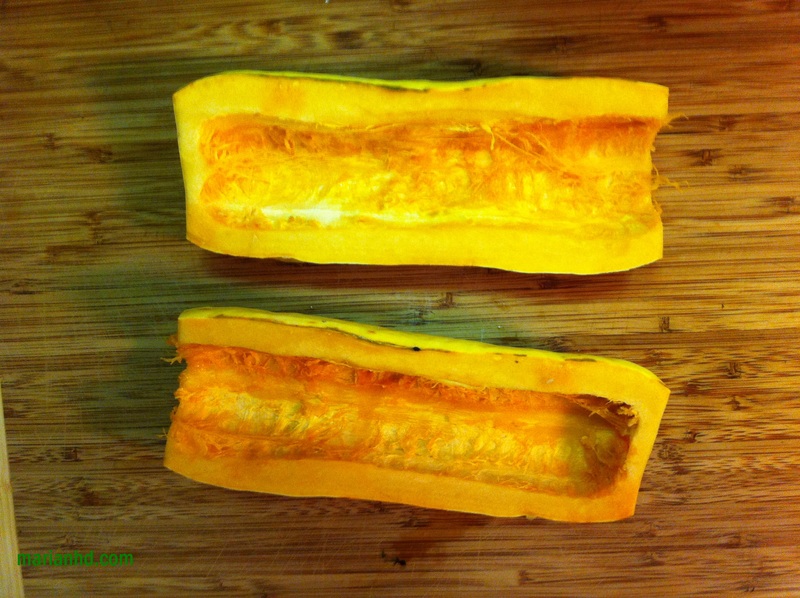 Then slice it lengthwise, scoop out the seeds, and slice one half into thin slices. If you are a good multi-tasker, do this while you work on step 3. What to do with the other half? Make these as your appetizer. 3. Heat 1 tbsp oil in a large nonstick skillet over medium heat (needs to be large enough to add 8 cups of spinach to it. I could only fit about 6 cups into mine). Add gnocchi and cook, stirring often, until starting to brown, 5-7 minutes. Transfer to a bowl and set aside. 4. 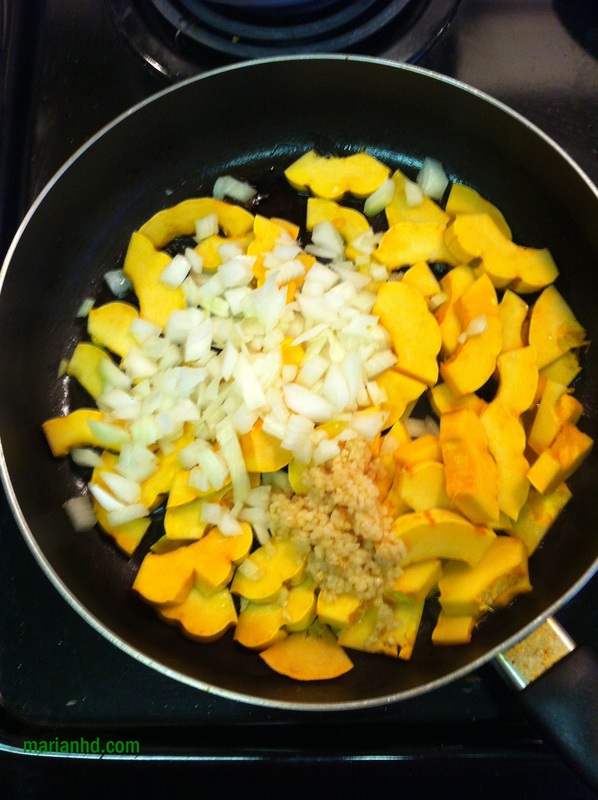 Add the remaining 1 tsp oil, squash, onions/shallots, and garlic to the pan and cook, stirring, for 2 minutes. Stir in broth, currants, sage, and pepper. Bring to a boil. This will start to smell amazing. Don’t be alarmed, and don’t eat it yet. 5. 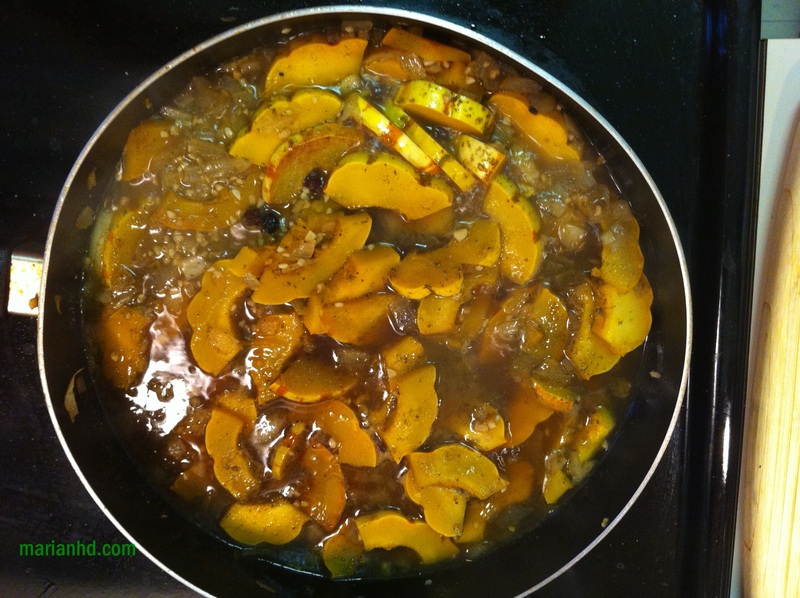 Reduce heat to maintain a simmer and cook, stirring, until the squash is almost cooked through, 6-8 minutes. 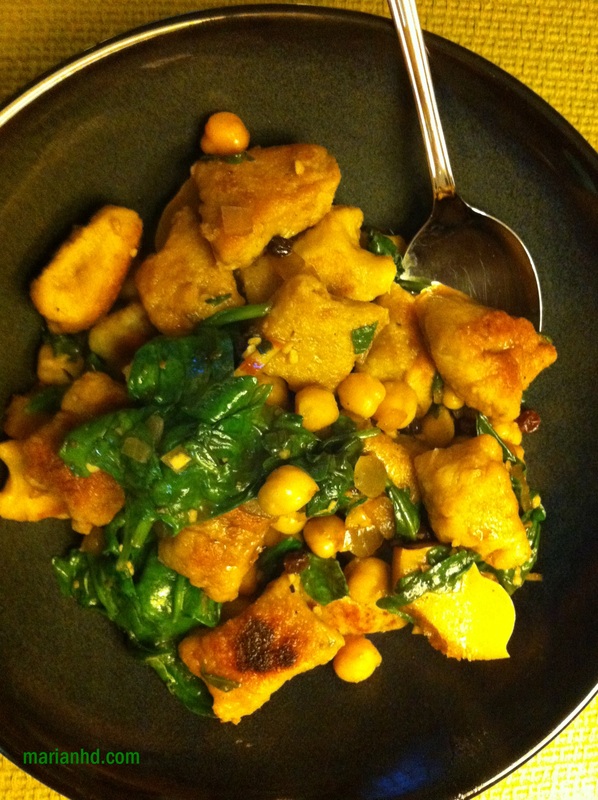 Add spinach, chickpeas and the gnocchi and cook, gently stirring, until the spinach is wilted, about 2 minutes more. Serve drizzled with balsamic vinegar/reduction. This dish is best eaten right away, as the wilted spinach doesn’t look as great the next day. But it still tasted great the next day! Not a drop of this went to waste. The husband did comment that the broth/sauce the dish was cooked it was delicious, so I might consider upping the broth and balsamic vinegar next time. If the squash is prepped ahead of time, this could actually be a fairly quick dish, especially after one practice round. 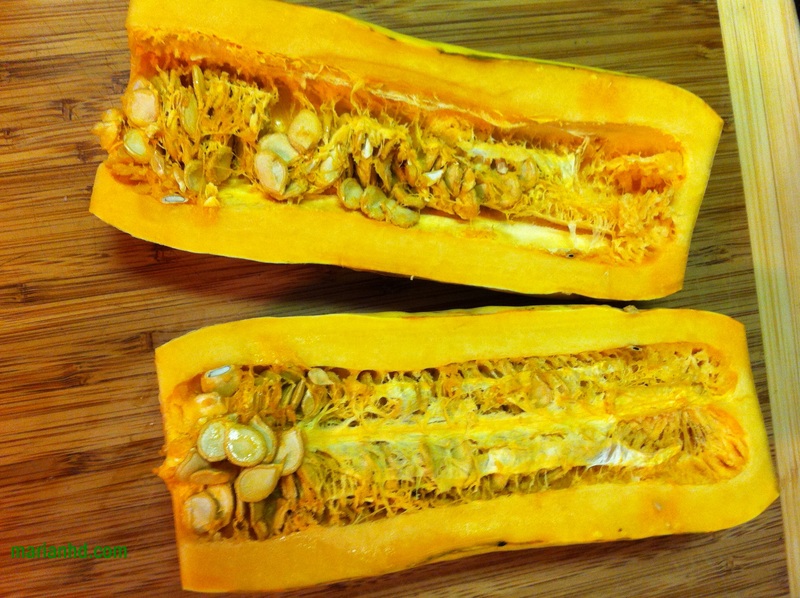 This definitely makes the cut for a weeknight dish, which is hard for squash dishes since they often require roasting. Bonus: this dish thoroughly satisfied my meat-eater husband, which could make it a nice crowd-pleasing dish when dining with a mix of vegetarians and meat-eaters. If you can figure out vegan gnocchi (typically have egg in them) it could be vegan, too. Nutrition information available with the original recipe. Not completely accurate since I made my own gnocchi. We have to get through our garage sale tomorrow. Scratch that – today, in 5 hours. Bleh. But then it’s all about FOOD this weekend! I do have a wilted spinach recipe with balsamic that we love but the squash added in sounds ahhh-mazing (and I love your “cool kids” post below too). Love this! Thank you, and I hope the garage sale went well!